We are very excited, and relieved, to be able to share with you the news that AHPRA (the Australian Health Practitioner’s Regulation Agency) have dropped all charges against Gary after 4 1/2 years of insisting that he had done nothing wrong – no case of patient harm nor patient complaint having been identified. Not only have the Medical Board cleared Gary’s name of any wrong-doing, they have even apologised in writing! “I exhort the board to consider the impact of restricted freedoms on the health and well-being of doctors and how such stress comes from violation of fundamental human rights as currently proposed by the board in this current revised code of good medical practice. Gary also spoke about the flawed process of the National Law and AHPRA at the Health Professionals Australia Reform Association Conference in 2017. We are hoping that this decision by the Board will help those who have been unjustly affected by the system and vexatious notifications and stop the practice from occurring in the future. We are currently receiving formal legal advice as to taking action against the perpetrators involved in the injustice of persecuting Gary. Not only has the entire situation cost us personally but it has potentially caused harm to his patients, and the wider community, by obstructing what was only ever Quality Assurance and improved patient outcomes. We see that certain people and organisations are in positions that are untenable due to their actions/inactions within the Tasmanian Health Service and the Dietitians Association of Australia despite direct correspondence and communication over many years. Not only has Gary has been a victim of bullying and harassment in the workplace for questioning patient safety and Quality Assurance in regards to sugary drinks and junk food in hospitals and unfairly targeted for ‘Active Defence’ by the Cereal Industry (via the Dietitians Association of Australia), but his recommendations around Low Carbohydrate Healthy Fat principles have been ridiculed and ‘claimed to be dangerous’ by Associations and Regulatory Bodies with ties to the Food and Pharmaceutical Industries! The continuing misinformation about carbohydrates and Type 2 Diabetes especially, and the repeated #fakenews published about the harms of Low Carb Healthy Fat principles have meant that individuals have been denied access to the latest research and support from health professionals around the world. Professor Tim Noakes (South Africa), Dr Annika Dahlqvist (Sweden), Caryn Zinn (New Zealand dietitian), Jennifer Elliott (Australian Dietitian – deregistered for advocating Low Carb) and Gary have all been subjected to investigations as a result of Dietetic Associations ‘Protecting, Influencing, and Actively Defending’ the cereal and grain industry and pushing a ‘Plant-Based‘ wholegrain, anti-meat agenda. It is time to start calling out the Vested Interests and Ideology that continue to shape the dietary and health guidelines. Guidelines that have become strict Rule-Books fiercely protected by Associations with ties to industry. 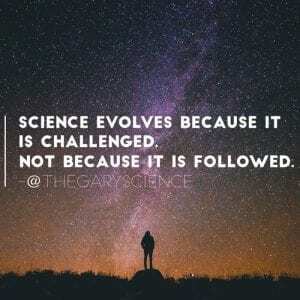 “Science evolves because it is challenged not because it is followed.” Gary Fettke. I would just like to take this opportunity to thank you all for your incredible support over the last couple of years. Gary and I couldn’t have continued this fight without it. Belinda Fettke is a photographer, writer and campaigner for better nutrition and justice.